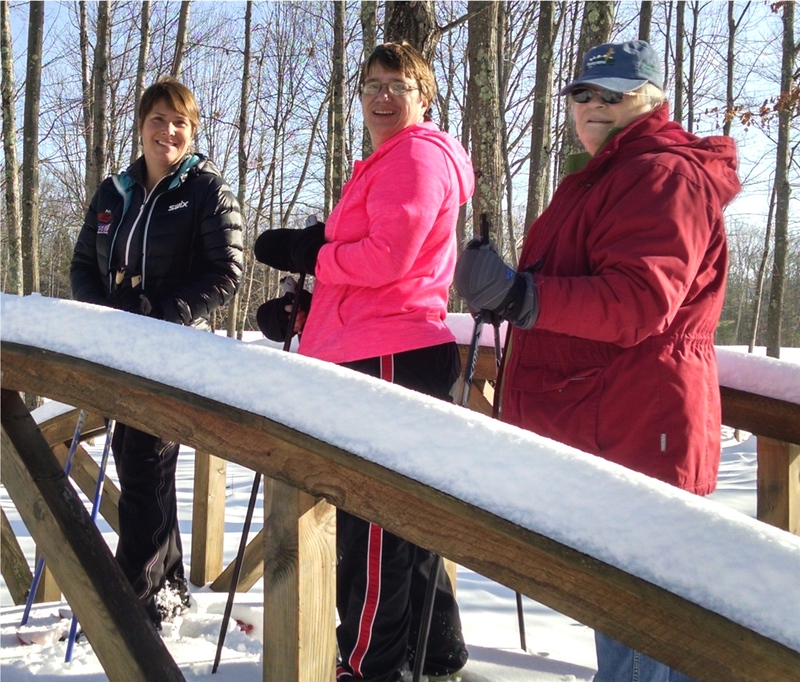 Veterans Adaptive Sports and Training Director Kristina Sabasteanski, left, Tammy Lane and Gloria Lavertu, along with other veterans, enjoyed their first snowshoe of the year at Pineland on Dec. 14. 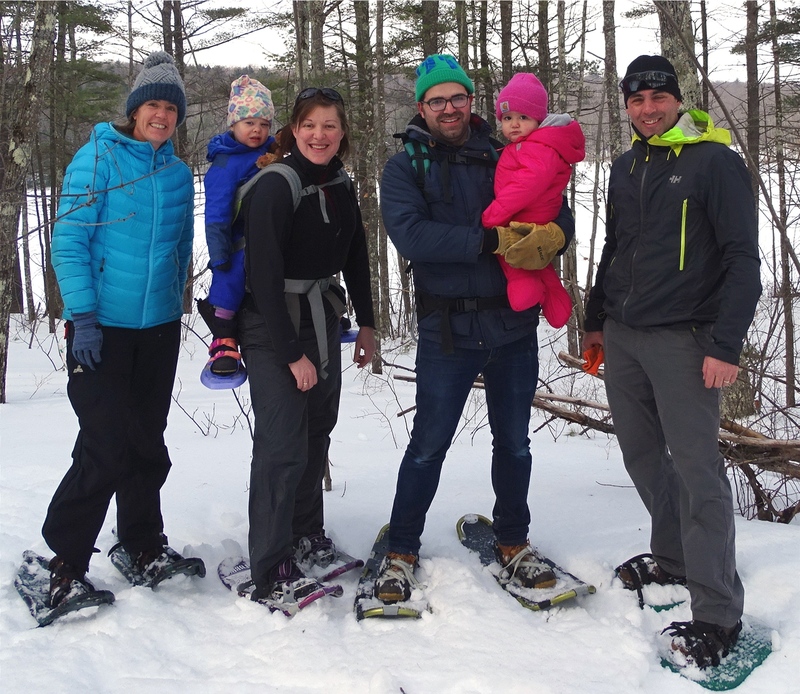 Regularly scheduled VAST snowshoeing and cross-country skiing will begin on Wednesday, Jan. 4. 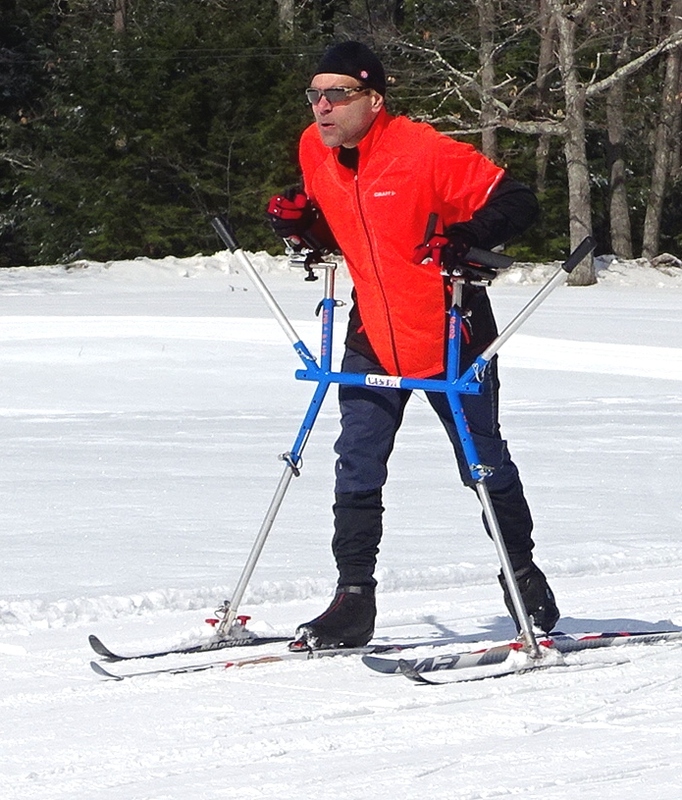 A veterans adaptive cross-country skiing/snowshoeing program will be held every Wednesday from 9 a.m. to noon, Jan. 4 through March, weather and snow conditions permitting. It is free to all veterans with physical disabilities, traumatic brain injury and post traumatic stress. No experience is necessary. Ski instruction and equipment for skiing and snowshoeing are provided free of charge. All veterans who are interested in volunteering are welcome. 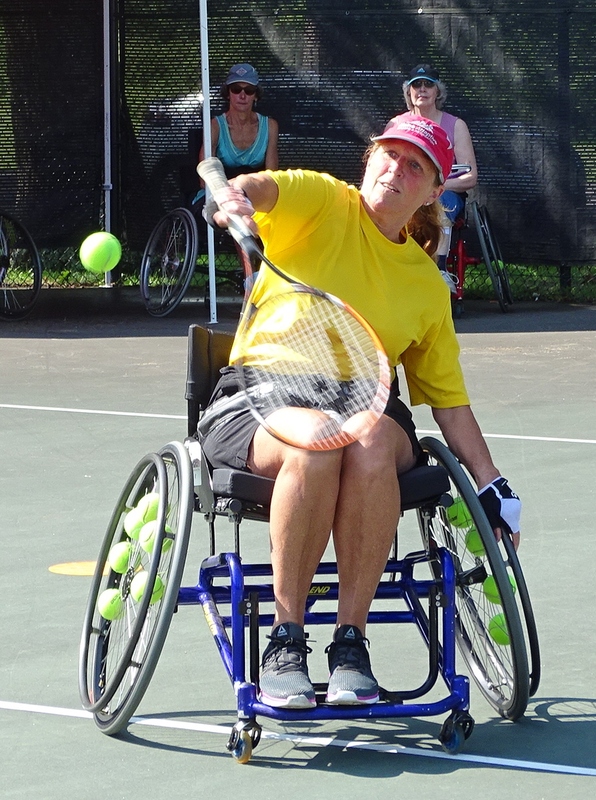 The program, hosted by Pineland Farms Veterans Adaptive Sports and Training, is headquartered at the Outdoor Center, 15 Farm View Drive, New Gloucester. Learn a new activity or practice your skills with Army veteran, two-time Olympic biathlete and occupational therapist, Kristina Sabasteanski. Interested veterans are asked to RSVP by Sunday of each week to kristina@pinelandfarms.org or 310-8694. For more information, visit pinelandfarms.org/recreation/VAST. 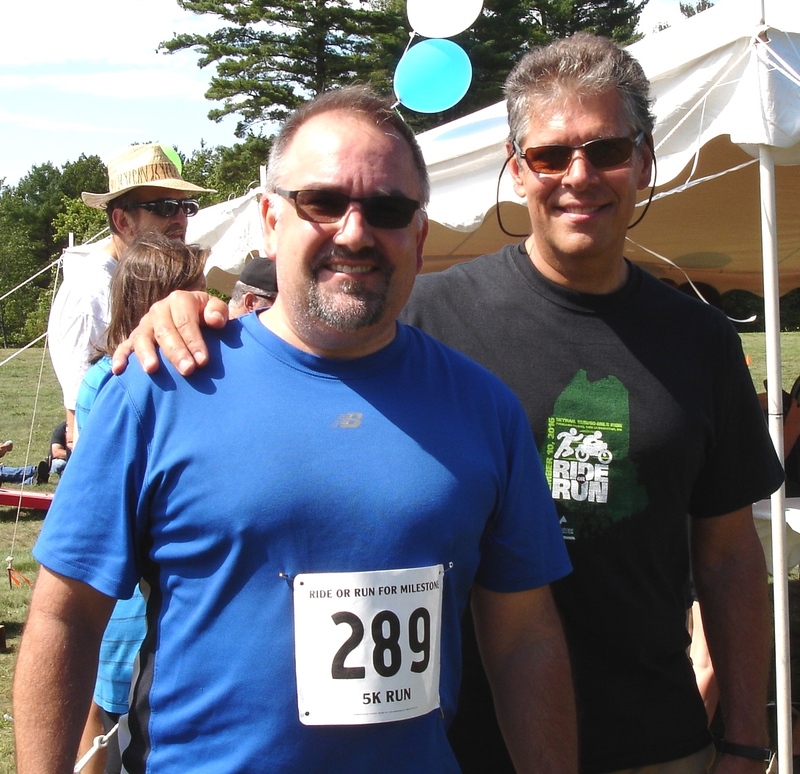 Paul Leblond, left, a videographer for the Milestone Foundation, ran the 5K fundraiser associated with the Ride or Run for Milestone event on Sept. 10. He’s accompanied by Bob Fowler, executive director of the foundation, which is a nonprofit organization dedicated to supporting people facing addiction and homelessness in Maine. The successful fundraiser wrapped up with a barbecue at Pineland Farms in New Gloucester. It’s coming right up, the Fall Festival of Books and Bake Sale at the New Gloucester Public Library. The fun begins on Friday, Sept. 30, from 5:30-7:30 p.m., with the First Dibs for Kids Book Sale. Children’s book prices will be 25 cents for hard covers and 2 for 25 cents for soft covers. Adults must be accompanied by a child to shop. But wait, there’s more. On Saturday, Oct. 1, from 8 a.m. to noon, all books, CDs and DVDs will be for sale at great prices. Most books will cost 25 cents for soft covers and 50 cents for hard covers. And, treasures await, buried inside the buck-a-bag satchels. Don’t forget to stop by the bake sale, stocked full of homemade treats. Call 926-4840 for more information. Grab your hats and mittens and prepare to explore an outdoor winter wonderland at a Pineland Farms’ family education program held from 10-11:30 a.m., Wednesday, Jan. 20. Buy tickets at The Market and Welcome Center, 15 Farm View Drive, New Gloucester, for $5 per person. For more information, contact the education department at 650-3031 or education@pinelandfarms.org. 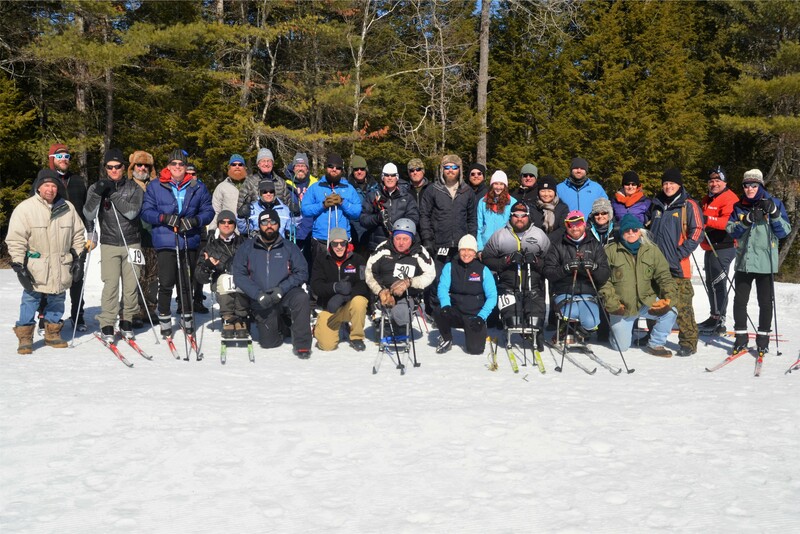 A Veterans Adaptive Cross-Country Skiing/Snowshoeing program will be held every Wednesday from 9 a.m.-noon, Jan. 6 through March, weather and snow conditions permitting. It is free to all veterans with physical disabilities, traumatic brain injury and post traumatic stress. No experience is necessary. Ski instruction and equipment for skiing and snowshoeing are provided free of charge. All veterans who are interested in volunteering are welcome. The program, hosted by Pineland Farms Veterans Adaptive Sports and Training (VAST), is headquartered at the Outdoor Center, 15 Farm View Drive, New Gloucester. Learn a new activity or practice your skills with Army veteran, two-time Olympic biathlete and occupational therapist, Kristina Sabasteanski. Interested veterans are asked to RSVP by Sunday of each week to kristina@pinelandfarms.org or 310-8694. For more information, visit pinelandfarms.org/VAST. It’s WC Basketball and Bowling for the next few weeks of VAST before Christmas! Time to burn off that Thanksgiving dinner and hang out with fellow Veterans. Also, check out our VAST Facebook page for weekly pictures!